A Good Kind of Spy Camera! 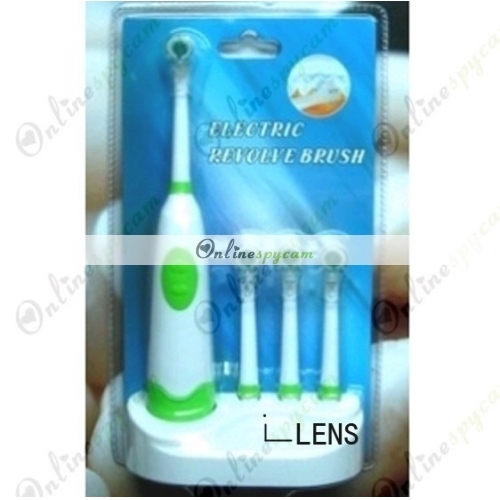 Electric Toothbrush with Professional Video Function! Compare to the previous generation bathroom spy camera electric toothbrush, this new generation has more powerful functions and is easier to operate. Through the new design, the function of brushing remains. Its powerful cleaning function can help you take care of your teeth. The most wonderful is that you can use it to record something even when you are using it to brush teeth. The pinhole camera is set inside the toothbrush. Its position is so secret that it won’t be found easily by other people. You can video things wherever and whenever you like. This product has an 8GB memory card built in, and the rechargeable battery has large capacity, so it can shoot long time videos. The videos which is shoot by this product can be played in a variety of players, you needn’t to worry that you have to find some special players. It’s really a professional bathroom pinhole camera for CIA agents, police, detector, and spy agency.